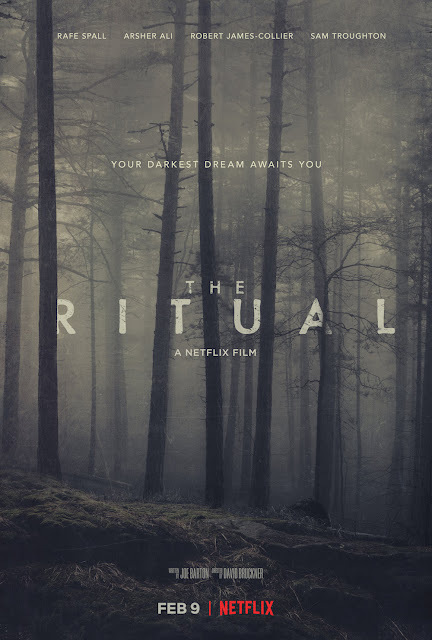 The Ritual just released today on Netflix. You can check it out HERE. Once it's been out for a while I'll start showing all the design work and art that went into it. I just saw the movie and I really liked the design of the big spooky thing. So much so that I watched the credits just to see who designed it. Thats how I got here! I watched the movie this past weekend and loved it. I can't wait to see some of your concept sketches and art for it, as the creature was gorgeously striking. Just watched the film on Netflix. Excited to see the design work that went into this. Dont be Afraid of the Dark, Guillermo Del Toro, and now The ritual. That was one GORGEOUS design. 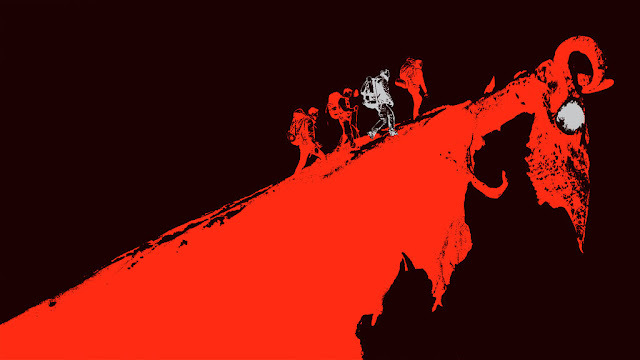 Got to your site from seeing your name in the credits, and was thrilled to see your artwork again - I have a copy of Drawing and Painting the Undead and it's always been one of my favorites. I just saw the movie and it's amazing! Is it coincidence that the creature forms a rune with his body at the end? Watched the mobie and searched online. Found your site and saw all the other amazing designs you did. Loved the creature in the movie! Director was also not shy in showing it when the time came! I watched the movie today and found out your design was involved. It was fascinating and I can't wait to see your artwork. I'm hopeful that some of the unused iterations might be available. I check back here regularly to see if there is any concept art posted for The Ritual...hope you post it soon! My favorite movie monster in a long, long, time...up there with the creatures from A Quiet Place. Just watched the film. Fantastic design on that creature! I think I feel some night terrors coming on. As soon as I saw the creature design I said "this reminds me so much of Keith Thompson"... Man was I proud of myself when I saw your name come up ♡ Amazing work, one of the best movie monster designs I've seen in a long time! I can't wait to see the artwork for this creature! I saw this movie and immediately thought 'This reminds me of Keith Thompson...' and I was so delighted to find you were behind the creature! I remember looking at your website and creepy spookems back in high school and to see such a fantastic, otherworldly body horror design drawing inspiration from something other than the woefully overused judeochristian pantheon... I hope you'll post some artwork for this beasty soon. i had the exact same train of thoughts. i loved is so much! when will you release your new artworks, thompson? we waited a few years and still nothing came out! plz, we really want to see your works. come back!